The YouTube landscape is much broader than the ongoing tussle between the Swedish creator and Indian music record label. "Kill This Love" by Blackpink achieved the previous record just one week prior. BTS is nominated for Top Duo/Group category as well as Top Social Artist. However, it has now been surpassed by the Bangtan boys with a massively huge margin. 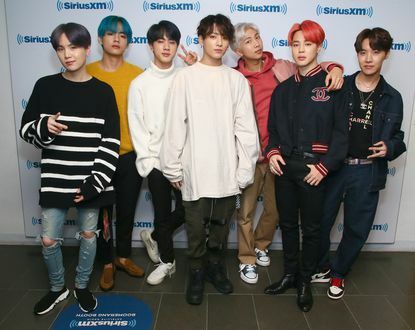 It was announced Saturday night that the BTS' first performance of "Boy with Luv" with Halsey will take place on the Billboard Music Awards on May 1. The group is the first K-pop act to be a musical guest on SNL; Psy notably made an appearance during a September 2012 sketch with Bobby Moynihan, who impersonated him on the series after the success of "Gangnam Stye". Colin Jost also dropped BTS' name to a similar reaction during Weekend Update, with laud screams also accompanying the band's performances.